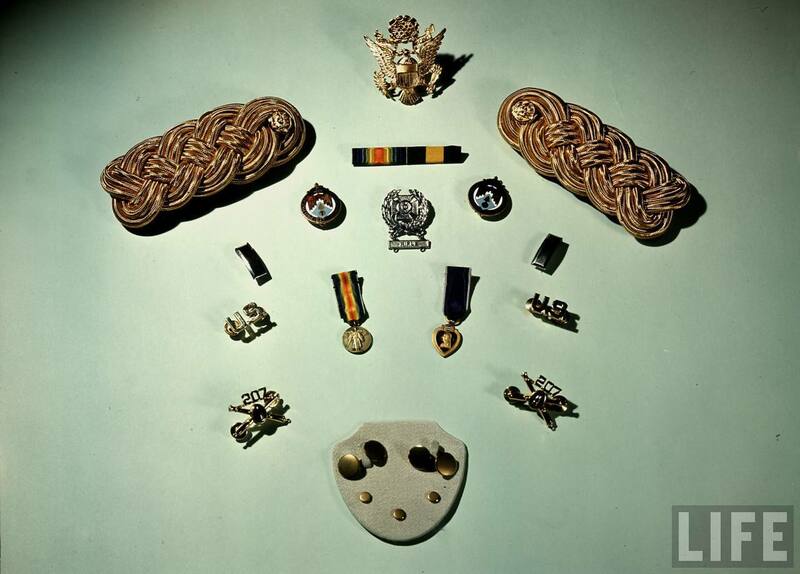 With millions of men and woman in uniform, the amount of insignia used by the Army grew dramatically, reflecting the large and complex structure of the force. 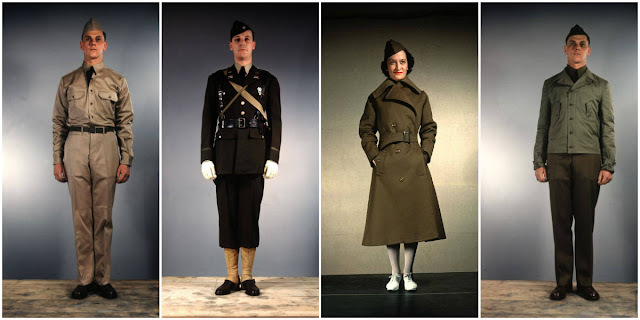 In May 1941 it was announced that the blue denim fatigue uniform would be phased out and replaced with an olive drab, herringbone cotton twill (HBT) uniform. 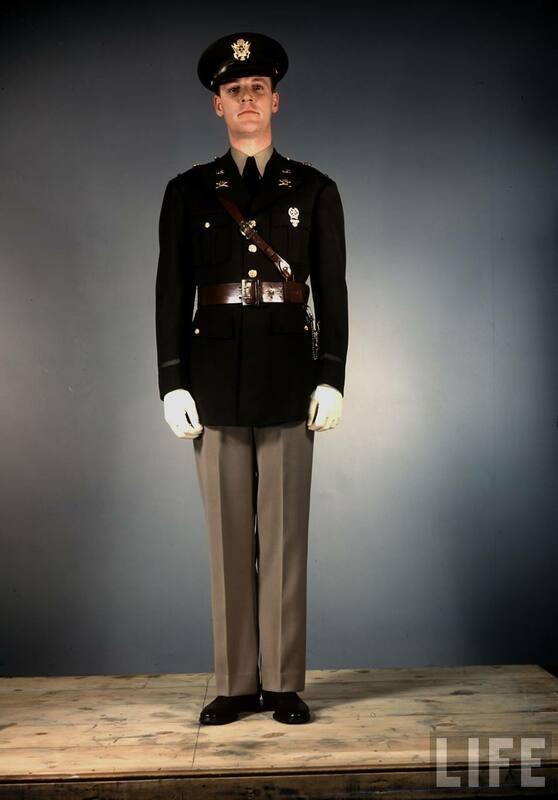 The new uniform was single breasted with five black metal tack buttons in front, plus a waist band with two additional buttons. 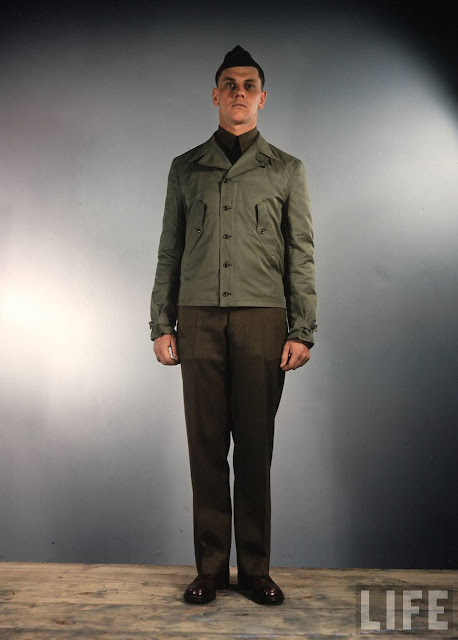 The jacket also had a notched lapel with a fall collar, and two patch-type breast pockets with a split pleat in the center and a flap secured by a single metal tack button. 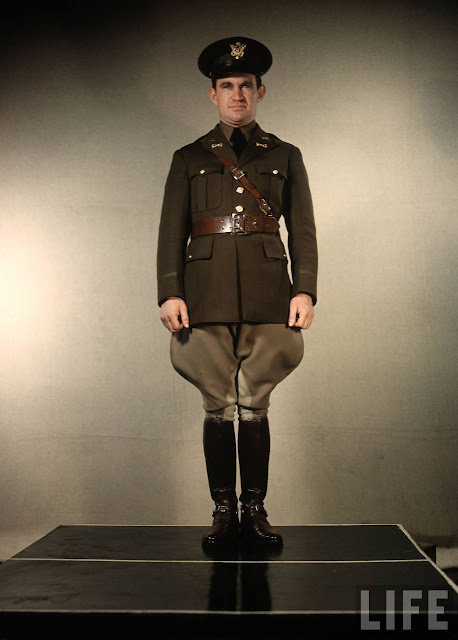 The uniform was intended for both fatigue and field use. In November 1942, an improved version was released. Based on field experience, the breast pockets were made larger with a bellows gusset on the outer edge, and the waist band was eliminated. 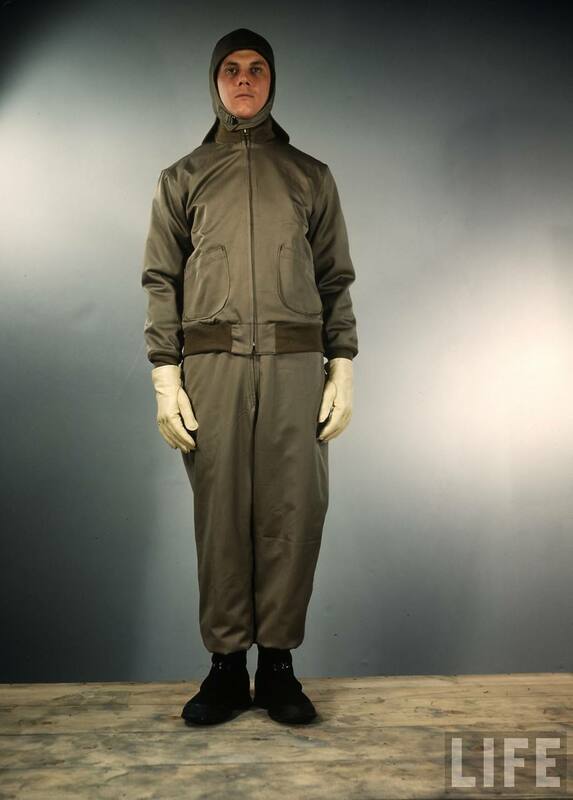 Treated with an anti-vesicant compound, HBTs were also used as chemical protective garments, particularly during the Invasion of France in June 1944. 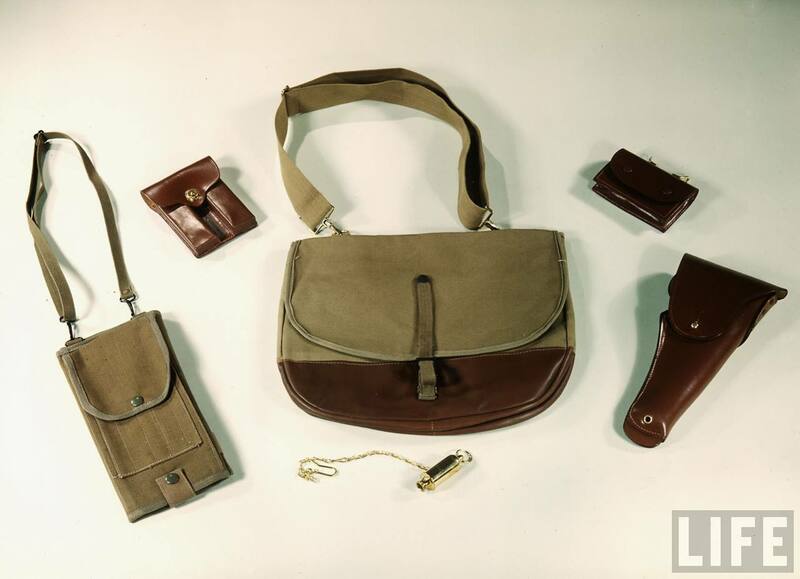 In March 1943, a specification change was made, changing the color of HBTs to a darker Olive Drab Shade 7. 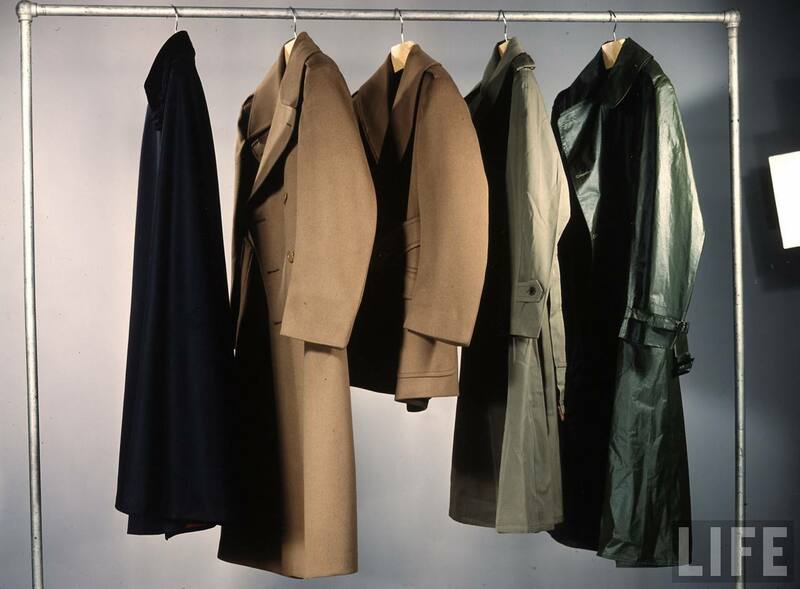 US Army officer's regulation cape, overcoat, jackets & raincoats hanging from clothes rack. US Army enlisted man in summer version of both the service and field uniform. 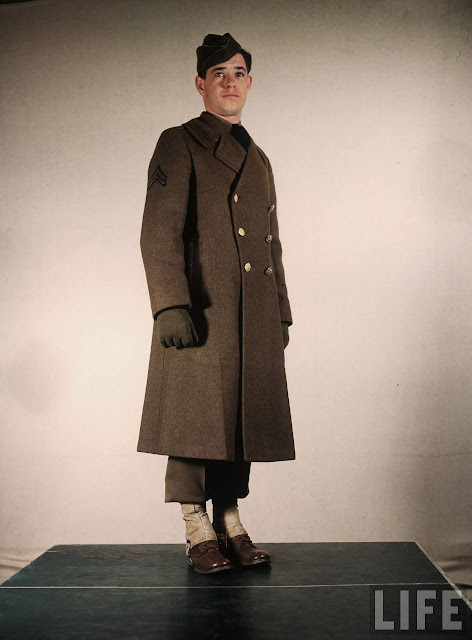 Soldier wearing US Army cold weather uniform designed for both enlisted men and officers. US Army Corporal wearing long regulation overcoat. 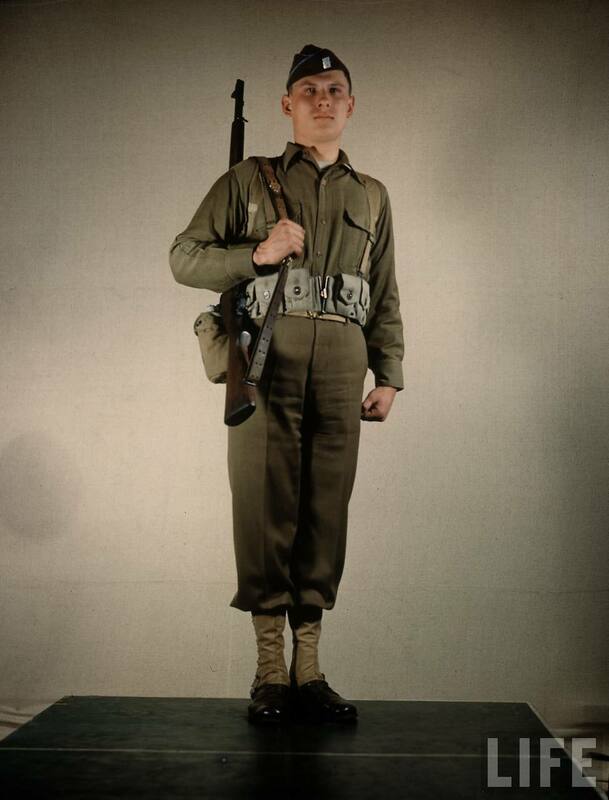 US Army enlisted man in field uniform w. rifle slung over his shoulder. US Army enlisted man wearing newly designed field jacket, which may also be worn by officers. 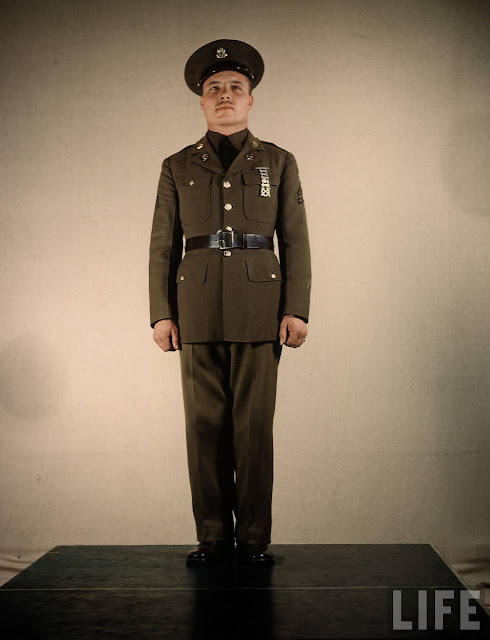 US Army officer (1st Lieutenant) in regulation service uniform. US Army officer (1st Lieutenant) in informal post uniform. 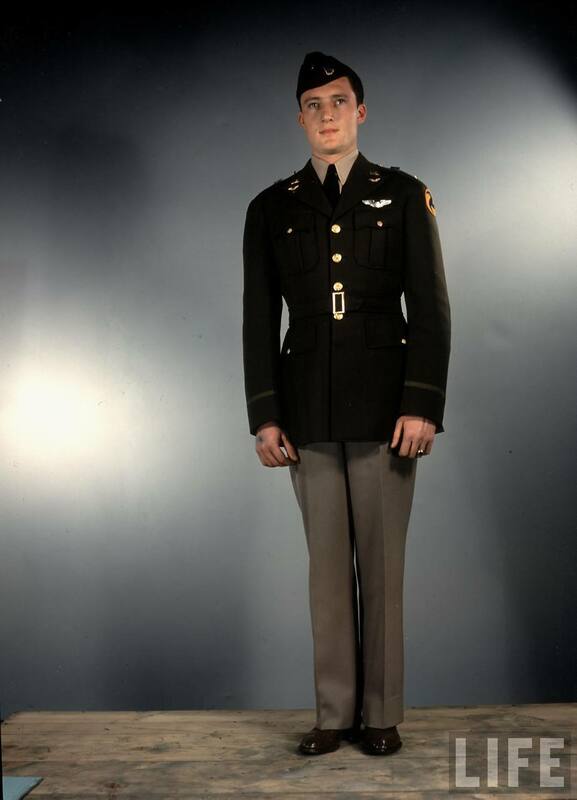 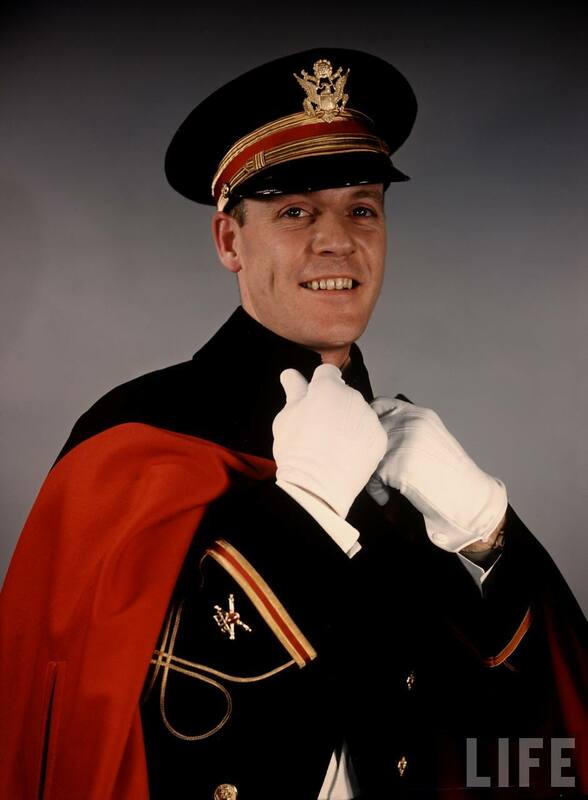 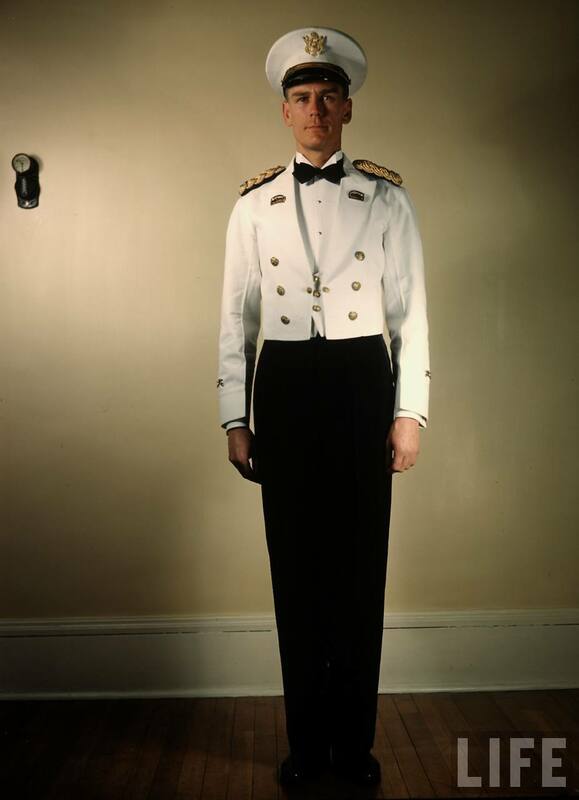 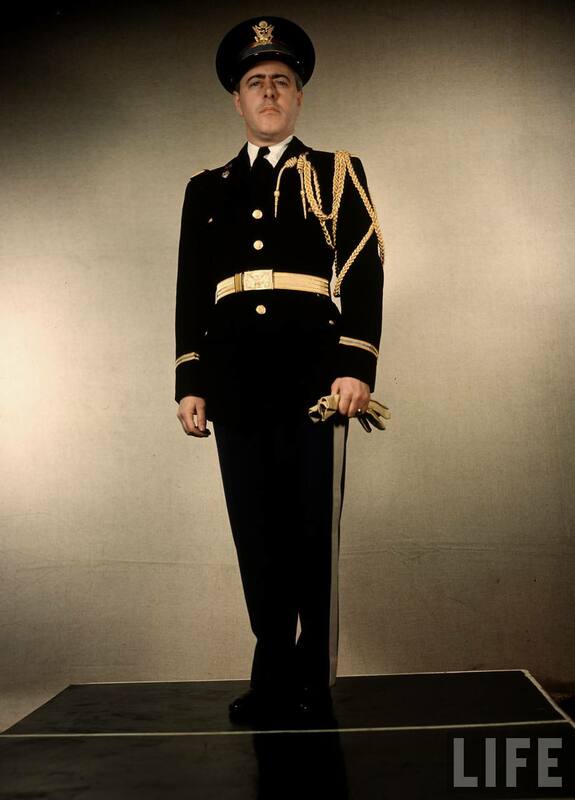 US Army officer (1st Lieutenant) wearing cape over formal evening dress uniform. 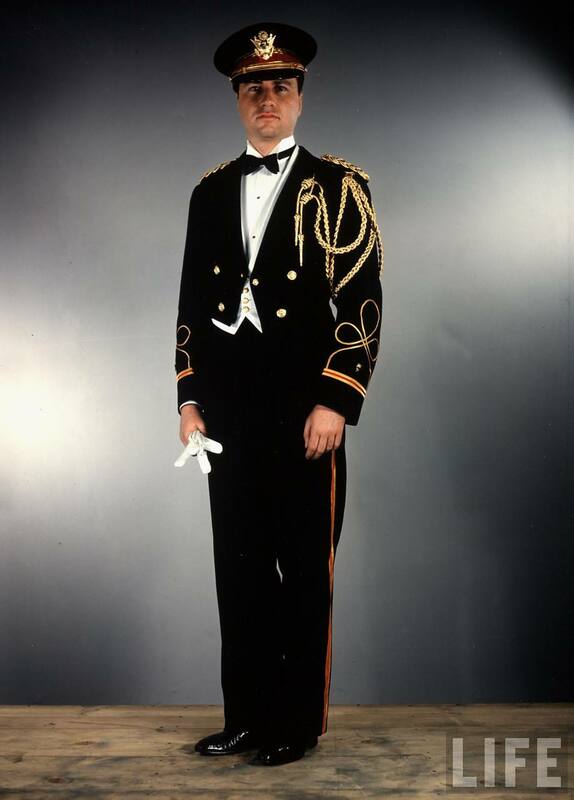 US Army officer (a General's Aide) wearing special formal evening dress uniform. 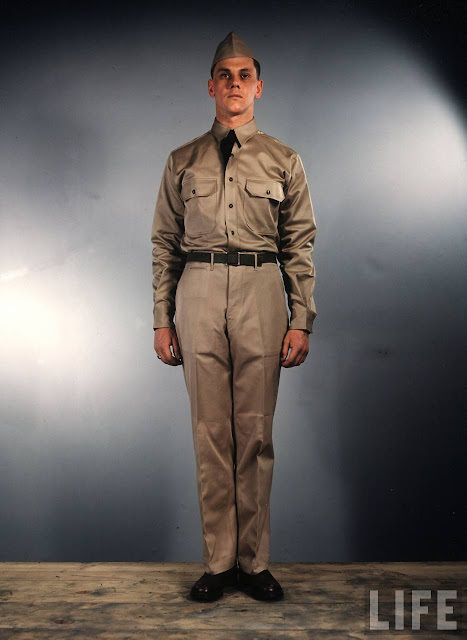 US Army officer wearing white mess jacket, appropriate for summer. US Army enlisted man in service uniform. 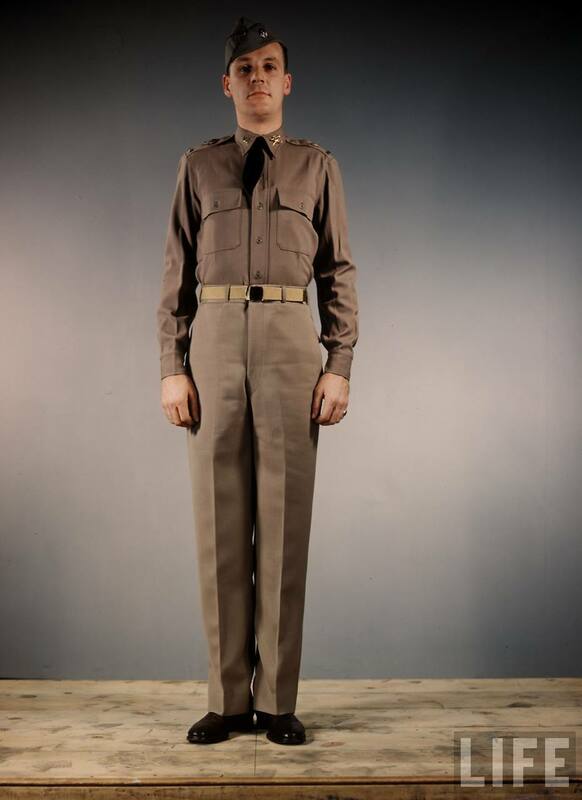 US Army officer (1st Lieutenant) in regulation field uniform. 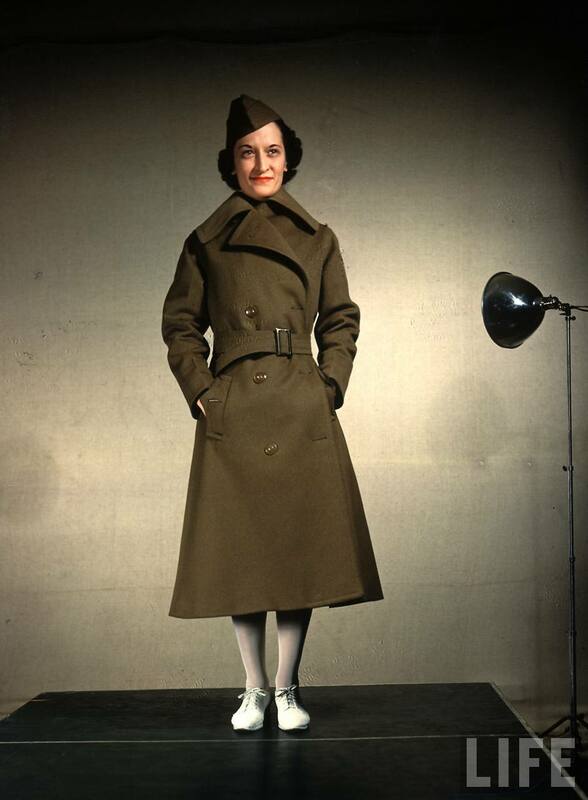 US Army Nurse (2nd Lieutenant) wearing long regulation officer's overcoat over her uniform. 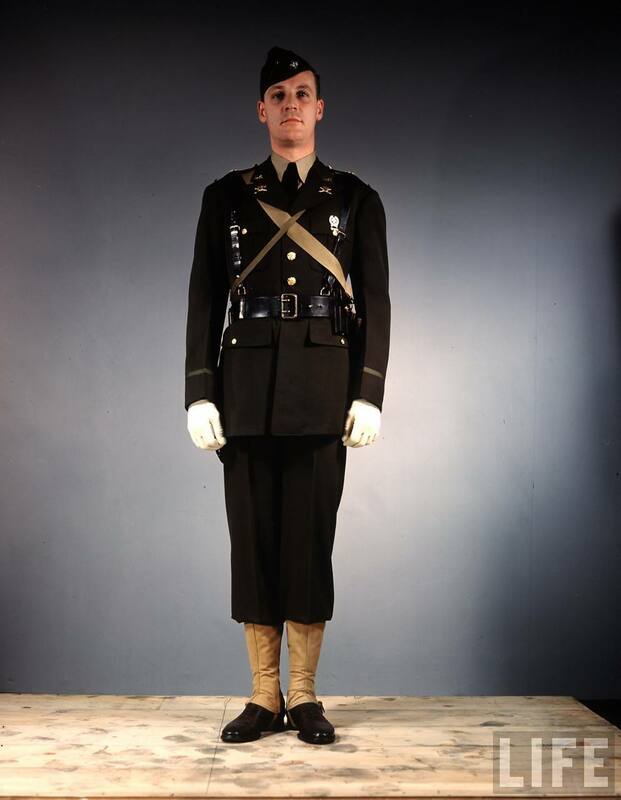 US Army Cavalry officer in service uniform. US Army officer (a Lt. General's Aide) wearing full dress uniform. 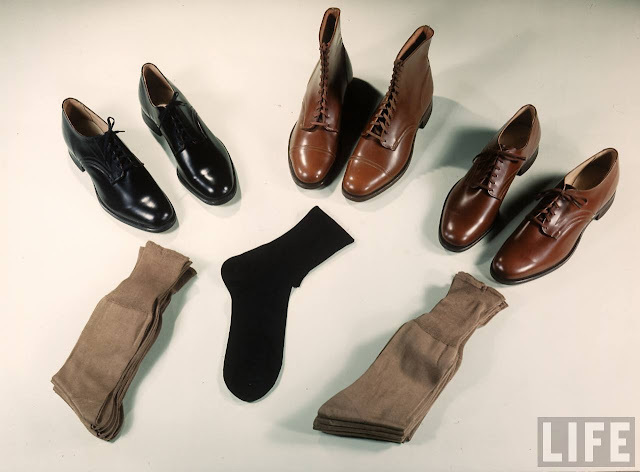 US Army officer's regulation shoes and socks. Various US Army officer's medals, ribbons and insignia, including a Purple Heart and a Marksman's badge. 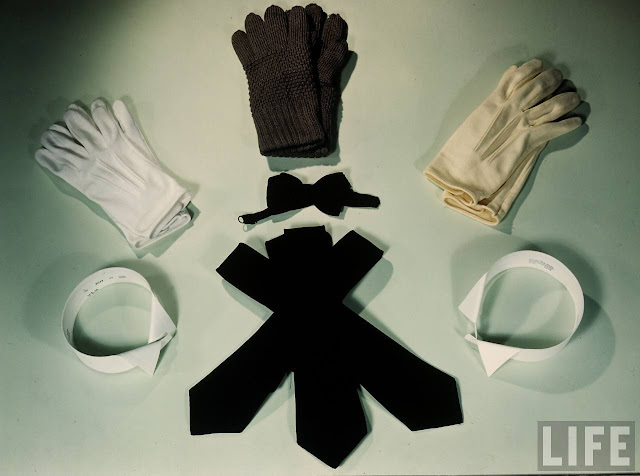 US Army officer's regulation uniform accessories, including gloves and collars. US Army officer's regulation uniform accessories, including pouches and gun holster. 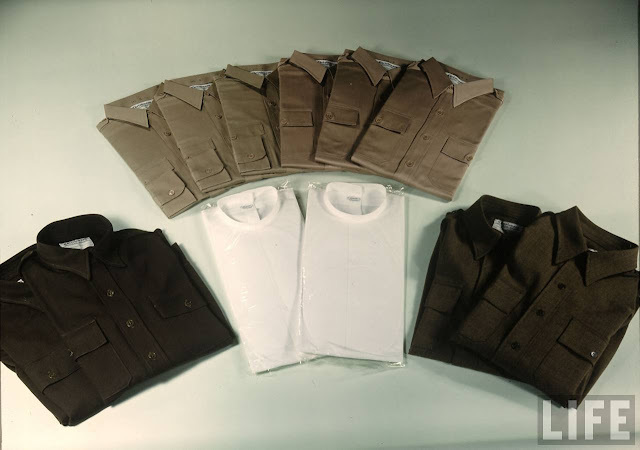 Various styles of US Army officer uniform shirts.